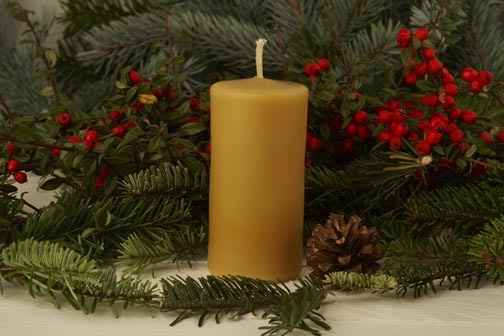 Hand poured pure beeswax candle made from wax produced by the bees in my hives surplus to their requirements. Colours may differ due to wax collected from different hives and age of comb. Hypo-allergenic, benefit those with environmental allergies, sensitivities, and asthma.